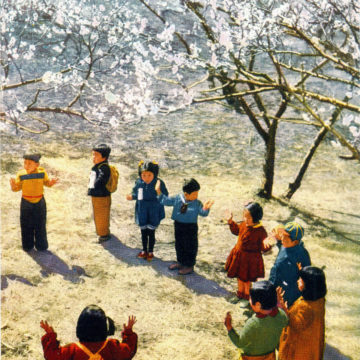 Children playing under cherry blossoms, c. 1960. 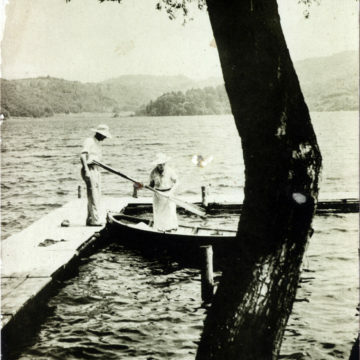 Ofuro (Bathing) etiquette, c. 1910. 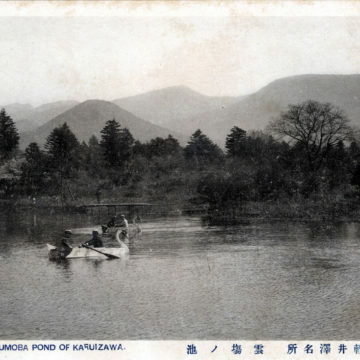 Kumoba Pond, Karuizawa, c. 1910. 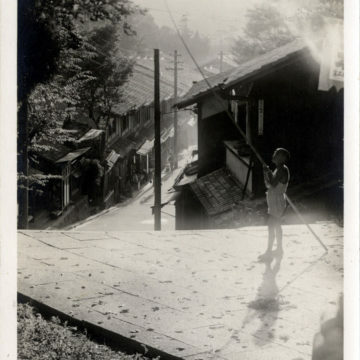 Picking persimmons with a bamboo pole, c. 1950. 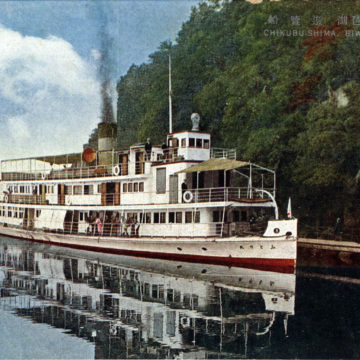 Chikubu Isle, Lake Biwa, c. 1940. 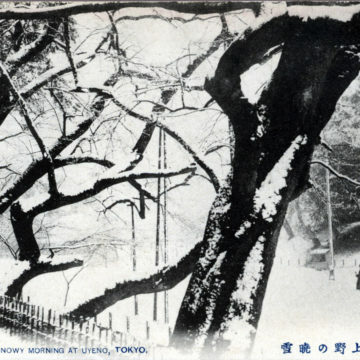 A Snowy Morning at Uyeno, c. 1920. 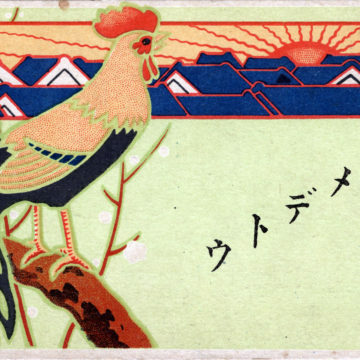 Year of the Rooster (2017). 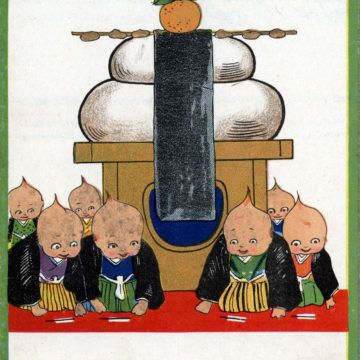 Kewpie Dolls, Mochi & Mikan New Years’ card, c. 1920. 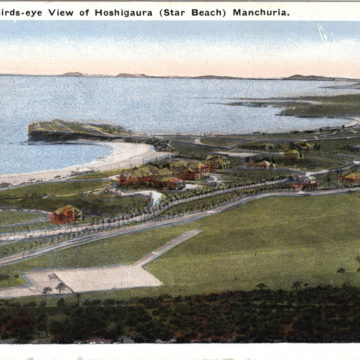 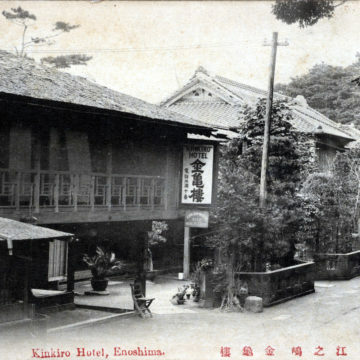 Kinkiro Hotel, Enoshima, c. 1910. 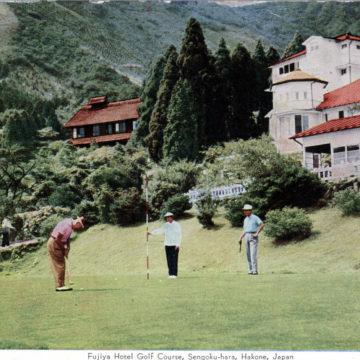 Fujiya Sengoku Golf Course, Hakone, c. 1960. 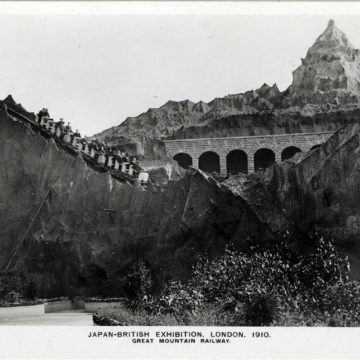 Mountain Railway, Japan-British Exhibition, London, 1910. 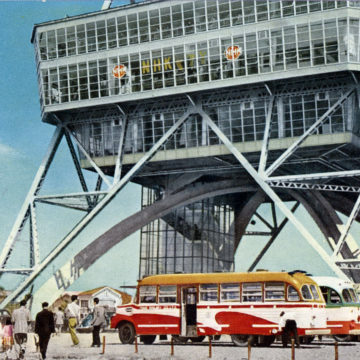 Nagoya TV Tower, Nagoya, c. 1955. 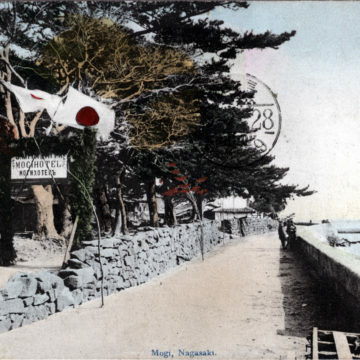 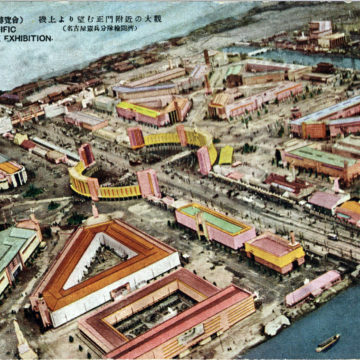 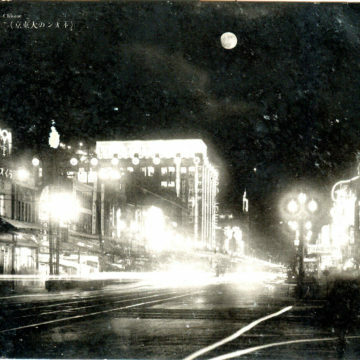 Mogi Hotel, Nagasaki, c. 1910. 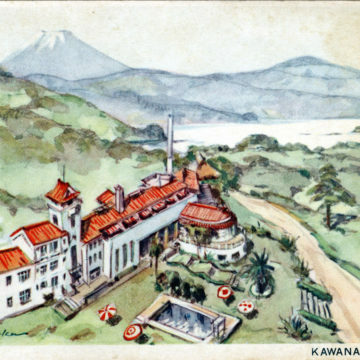 Kawana Hotel, Izu, Shizuoka, c. 1960. 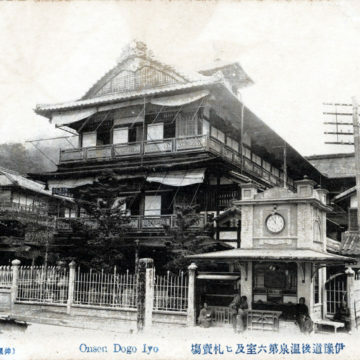 Dogo Onsen, Matsuyama (Iyo District), Shikoku, c. 1910. 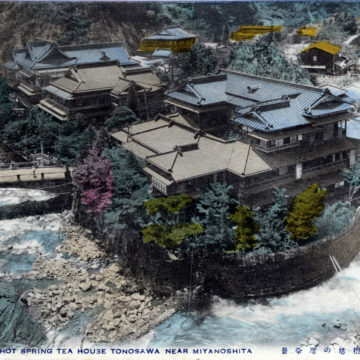 Hot Spring Tea House [at] Tonosawa, near Miyanoshita, c. 1920. 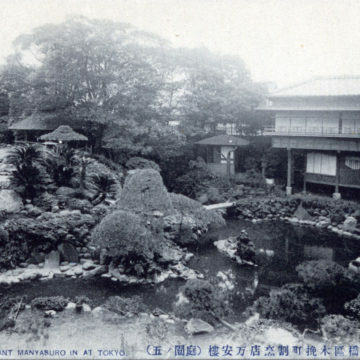 Pan-Pacific Peace Exposition, Nagoya, 1937. 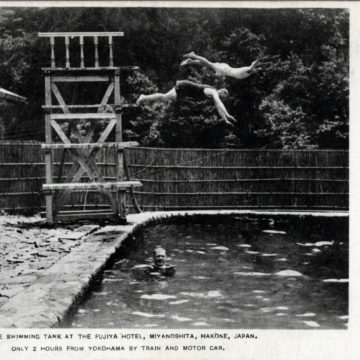 Hot springs swimming pool, Fujiya Hotel, Miyanoshita, c. 1930.
International Village, Nojiri-ko (Lake Nojiri), Nagano Prefecture. 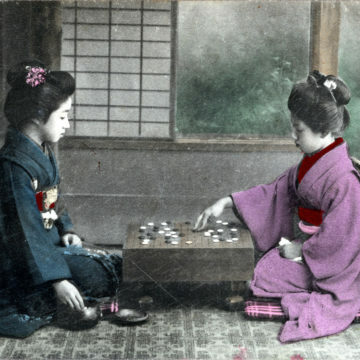 The Game of “Go”, c. 1910.